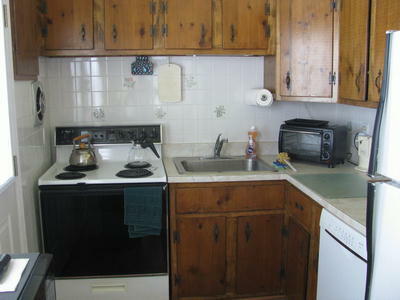 This property is a duplex just off 40th street where the town is only three blocks wide from beach to bay. 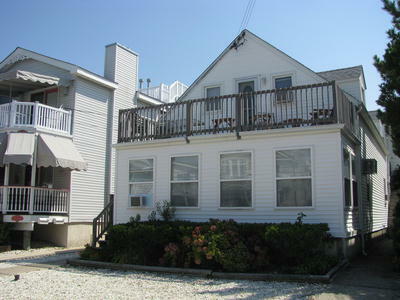 The duplex with two apartments is located on the ocean side of Asbury Avenue- the third house from the beach and from a Catholic Church. 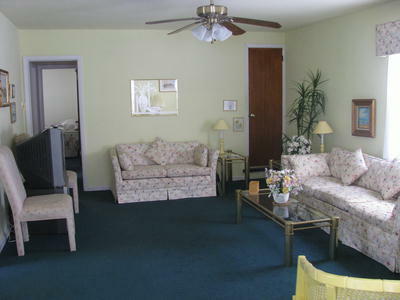 This apartment features a private entrance on the north side of the house. A fenced in side yard with seating, an enclosed shower with lighting, a dressing room that s shared with the 2nd floor tenants and a 2 car garage. 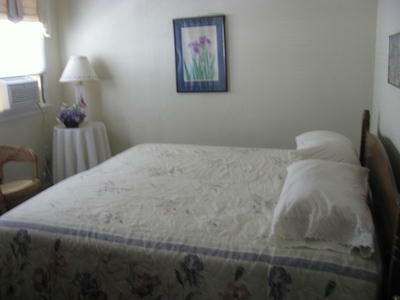 There is electric heat, five ceiling fans, three window air conditioning units and a large wall unit. 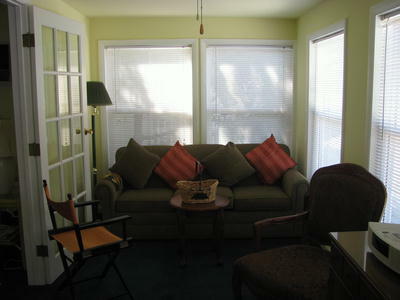 The apartment has an enclosed sunroom as you enter with a queen sized sleeper sofa. 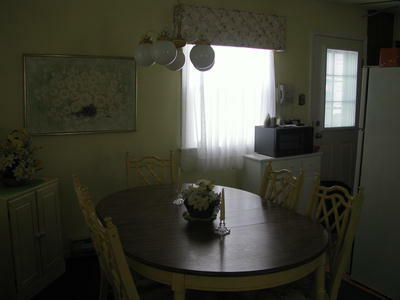 It opens to a L-shaped living room/dining room. The hall bath features a bath/shower combination. 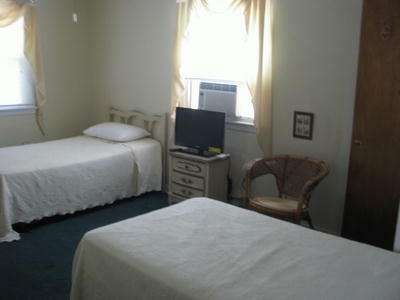 There are two bedrooms- one with two twin beds set up as a king-sized. The second bedroom with two twin beds leads to a hall with a washer/dryer combination, a powder room and a door to the garage.